Did you know the body has its very own cannabinoid system, called the endocannabinoid system (ECS)? While scientists have yet to fully illucidate how the ECS influences sleep, what we do know is that the ECS influences many parts of the brain and the body that are vital to a healthy night's sleep. Likewise, if you have an endocannabinoid deficiency, it will likely adversely affect your sleep cycle. 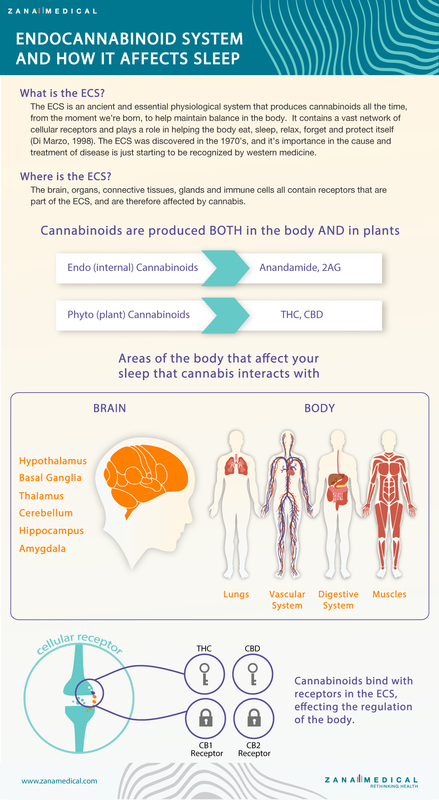 Knowing why your sleep is interrupted and how cannabis can works in your body can help you get the most out of your medicine.